Halley & Mellowes ’ Greenbank Terotech has designed a special interlocking particle matrix that is resistant to abrasion. This abrasion resistant spun cast pipe lining system has been developed with a low resin content to optimise the mechanical and wear resistant properties of the ceramic throughout the total lining thickness. 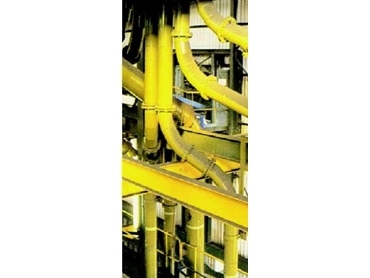 Aptly named as Weartech, the cast pipe lining system has optimum particle size distribution. Its spin cast process provides a strong interlocked cohesion between the different components. Greenbank ensures no fouling with structures, the design maximises radii and pipe rotation for end and interchangeable options is made available. The size of the largest grain is 2.5mm and recommends a minimum thickness of 5thk with a specific gravity of 3.0 to 3.2.